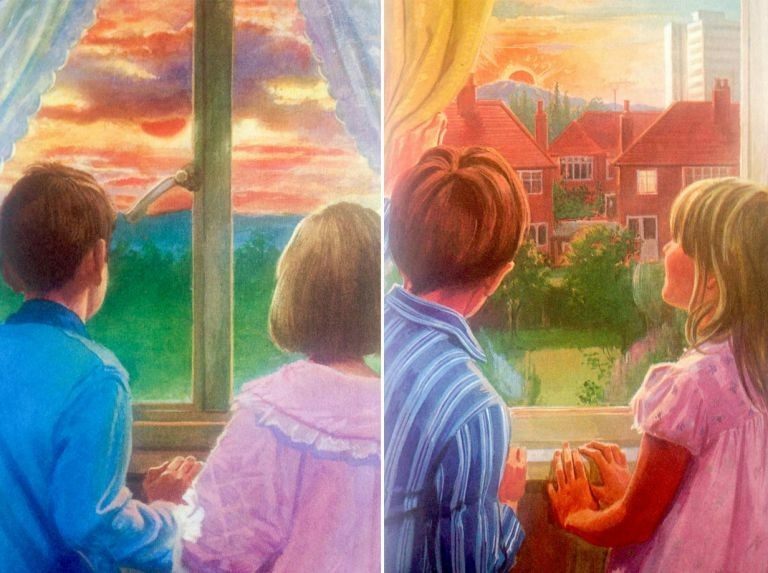 The children’s book series ‘Peter and Jane’ is back, but with the addition of all the things any modern family needs: life jackets, seats belts and gender equality. The updates come despite the books still being set in the 1960s and 70s. 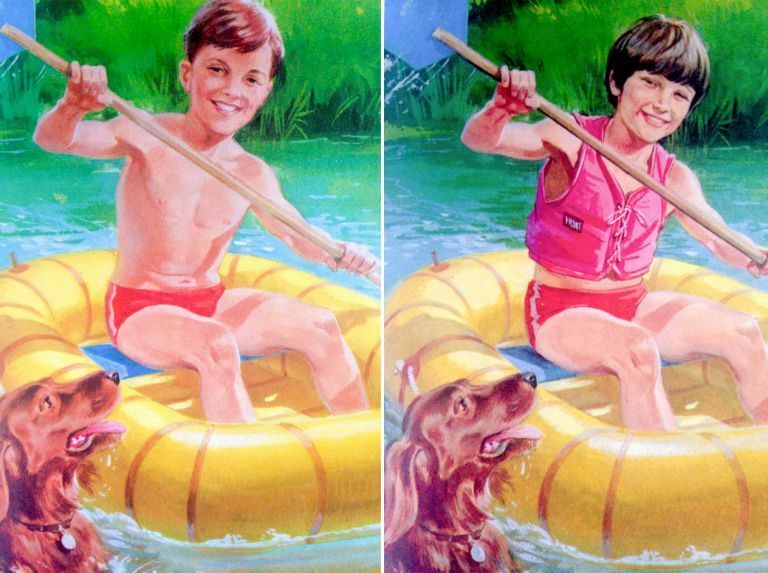 Safety first: Modern version features a life jacket. 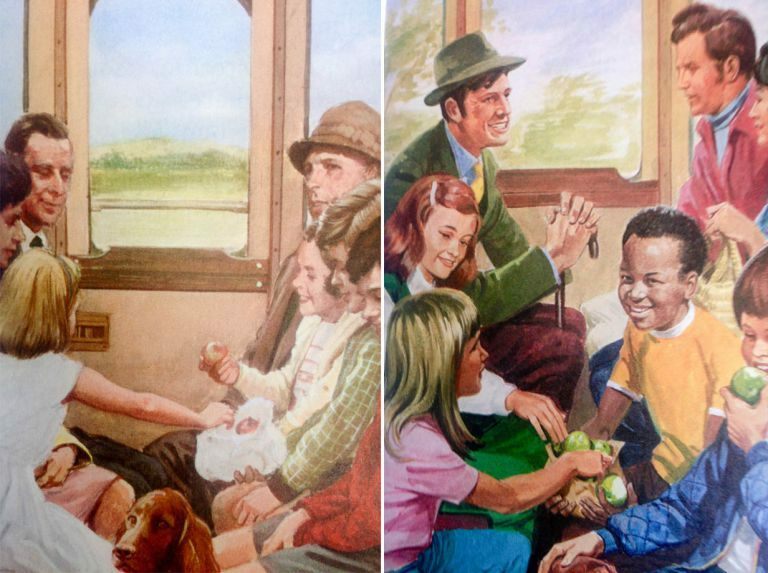 Diversity: Peter and Jane have a more diverse friendship circle. 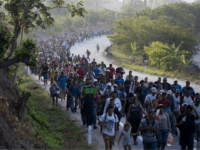 Greenbelt lost: Rural views replaced with urban sprawl. 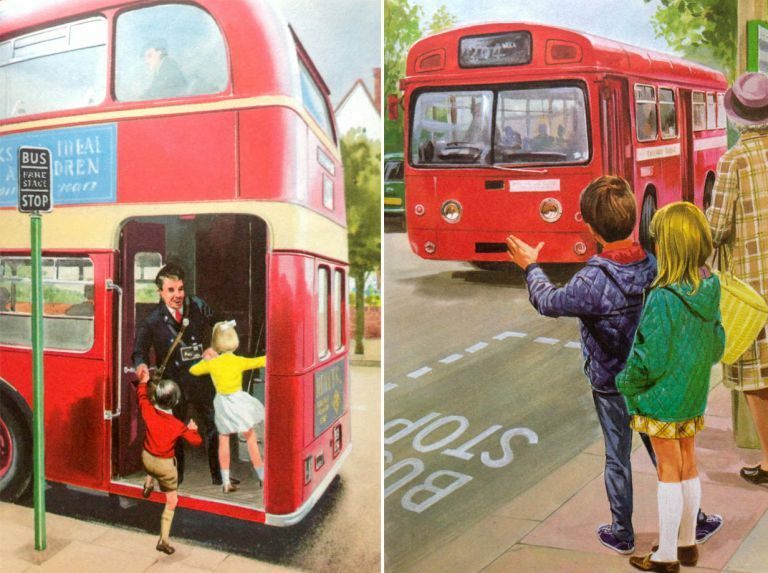 Transport dangers: Jumping on and off is not the done thing unless it’s a proper bus stop. 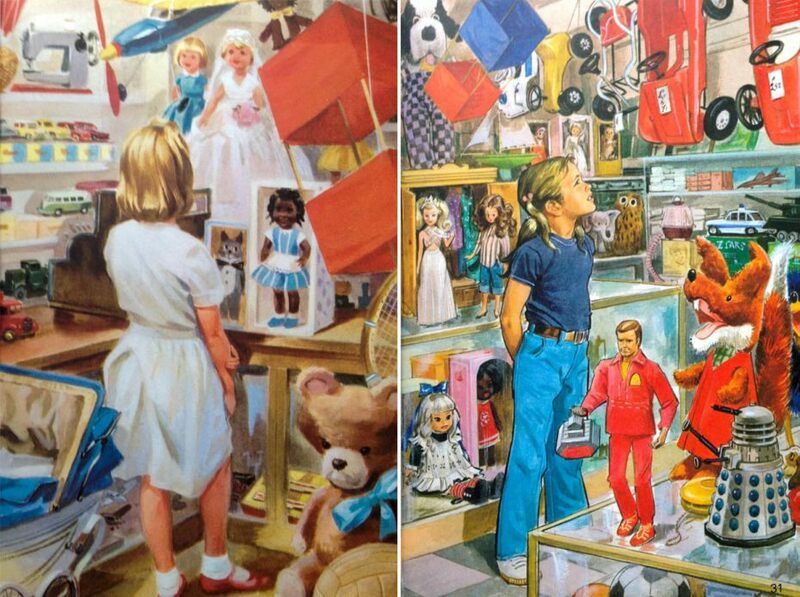 Gender equality: Girls can wear trousers too, and boys can be dolls. 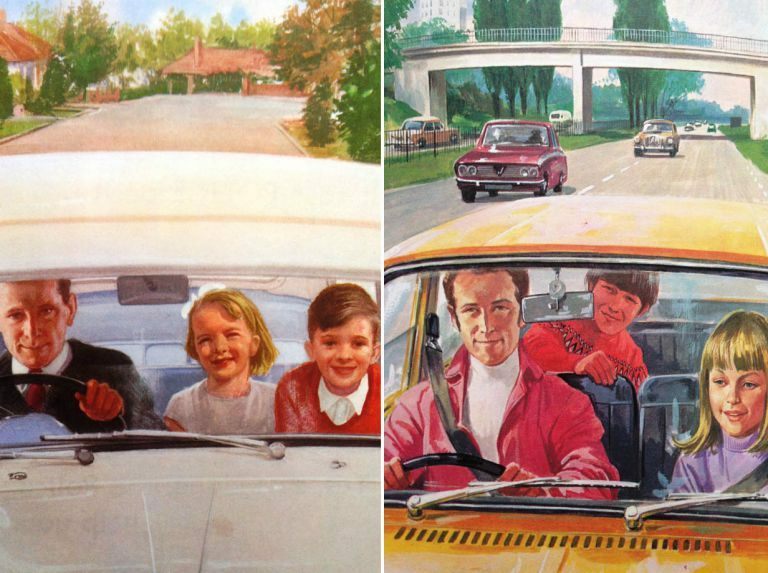 Dangers on the road: Children need to ‘belt up’ these days. 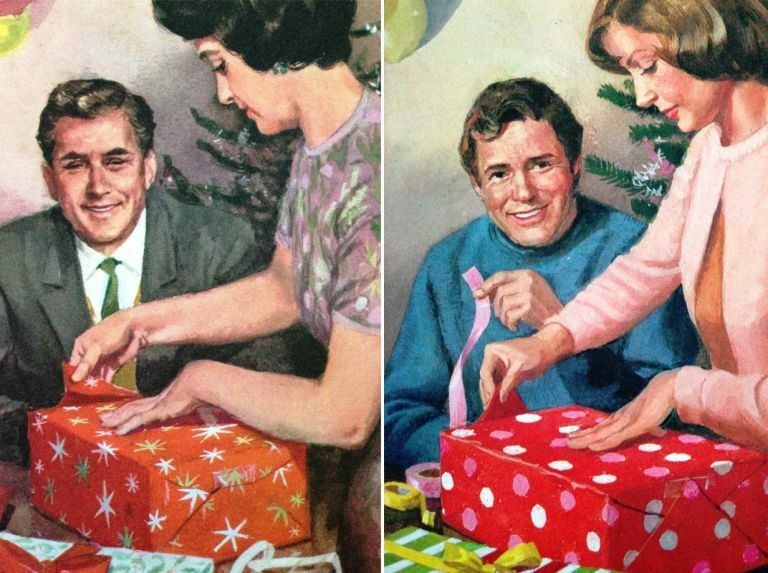 Modern dad: Men can wrap presents too you know.